What are the top activities to do with your grandchildren? As a grandparent, you know just how joyful it is to spend time with your grandchildren. Luckily, there are a plethora of wonderful activities that kids and their grandparents can enjoy together. If you suffer from mobility problems and need aids like stairlifts in the home you needn’t worry about what you can do to keep your grandchildren occupied as there are lots of activities available. If you’re not quite sure about what to do with the little ones, then read this list of fun things you can try with your grandchildren, from inexpensive indoor activities to outdoor adventures. What indoor activities can I do with my grandchildren? 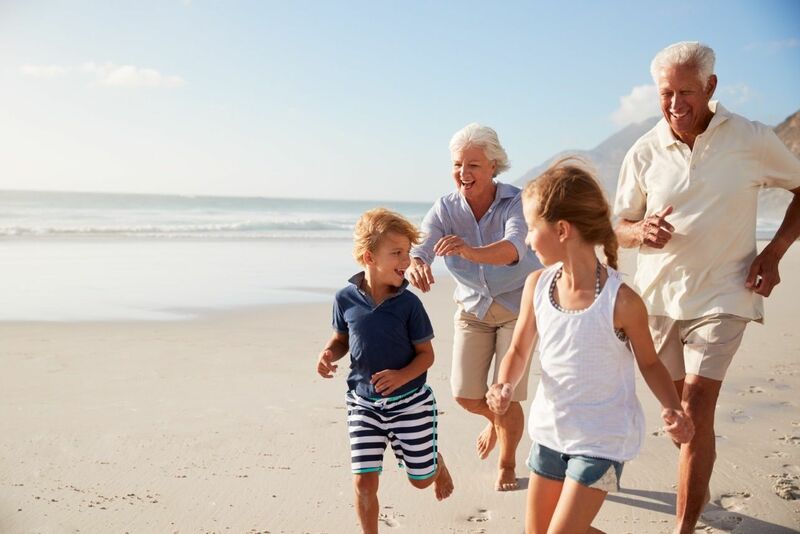 If the weather has taken a turn for the worse, there are still lots of things you can do to keep your grandchildren occupied and here are some great suggestions. Enjoy a little friendly competition with your grandchildren by competing against each other with a board game or get them to help you complete a puzzle. GaGa Sisterhood’s Donne Davis says that something she has done with her grandchildren is to sing with them. Singing is a simple and fun activity you can do with your grandchildren and you don’t need to be a great singer or musician to enjoy it! Music makes you happy and it allows you to be creative as you can make up your own words to tunes. If you’re singing a nursery rhyme, you could even act it out in front of your grandchild. Parents will love it if you can squeeze in some reading time with your grandchild. Get them to bring their favourite book over or take them to the library and track down some classic books you can read together. If you head to the local library, you can also look at borrowing audiobooks and DVDs. There might even be some child-friendly events at the local library that you can take them to. Claire Kirby, the freelance writer and blogger at Life, Love and Dirty Dishes, highly recommends reading a book to your grandchildren. Pantomime an activity and ask your grandchild to guess what you’re doing. Then switch and you guess. Play a memory game called: “I’m going on a picnic and I’m taking …” – an item that begins with the letter “A.” Then your grandchild says, “I’m going on a picnic and I’m taking an apple and a banana.” Keep adding and remembering as you go through the alphabet. Put on a puppet show with finger puppets or hand puppets. What outdoor activities can I do with my grandchildren? If you’re a keen gardener, you should look to pass on your green fingers to your grandchildren by planting flowers or growing vegetables and fruit together. Your grandchildren will love using the watering can and you will love the fact that you’re getting some free help around your garden. You should look to make gardening exciting and this can be achieved by giving it an air of competition to make it interesting. Older people with mobility problems can let their energetic grandchildren play on slides and the monkey bars while you watch them from a park bench. You may want to bring along some sandbox toys for younger children to play with or even a football so they can have a kick about with any of the other children that might be at the park. Active play is great for a child’s physical development as it helps with their balance, coordination and gross-motor skills like walking. If you want to get your grandchildren into nature, then the perfect place to start is to go bird watching as there are lots of nature reserves across the UK and we are home to a variety of birds too. Children are often mesmerised by animals, so watching swans, ducks, robins and other iconic birds swoop down and listening to them sing is something that they will certainly not forget in a hurry. If you like a challenge you could build a homemade birdfeeder with your grandchild. By doing so, grandparents suffering from mobility problems do not have to worry about organising a trip to a nature reserve and can instead get the wildlife to come to you! There are lots of other days out and activities grandparents can do when looking after their grandchildren and here is a list of some other accessible activities you can enjoy together.